The tune is a new original called ‘Acceptance’. It’ll also be my 2019 Tiny Desk contest submission. “For our 80th episode, we demo the Mixtape Alpha and Moldover Four Track, two tiny cassette-shaped synthesizers. Like superhero armor, the sleek Guitar Wing fits over the edge of your guitar – your existing, beloved guitar – and gives it badass bonus powers. The crowd-funded accessory finally brings control for digital instruments and effects to the fingertips of guitar and bass players, without forcing them to change instruments or give up their conventional techniques. 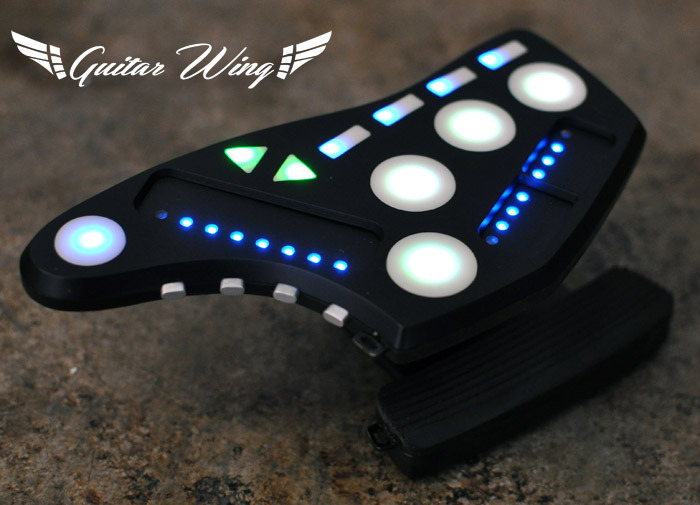 Instead, Guitar Wing, via Bluetooth connection, provides pressure-sensitive pads, faders, buttons, switches, and (if you like) three-dimensional motion control right to the instrument. USB charged, rechargeable battery-powered, and with RGB color feedback and editing options, it’s ready to go anywhere and control anything. It comes with its own multi-effects suite, but more likely you already have software on a computer or mobile device you want to use. And now, if you want one but put off buying one – just as we are late in writing about this – well, now is the time. 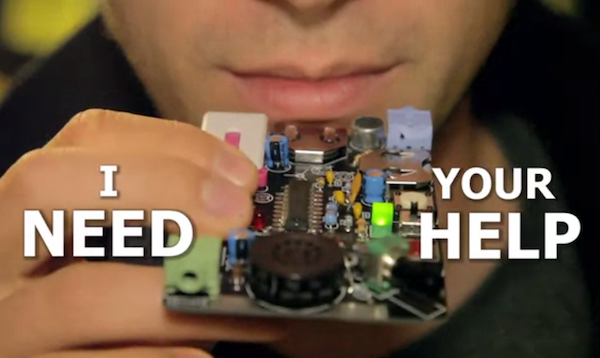 Our friends Moldover and Livid Instruments, creator of the instrument, are bringing us the latest videos you may not have seen elsewhere. And in under 48 hours, as this week reaches its end, the crowd funding comes to its conclusion. That means it’s your last chance to get first in line for one under US$200 (or back it, starting at a buck). Let’s have a look at how people are using this. 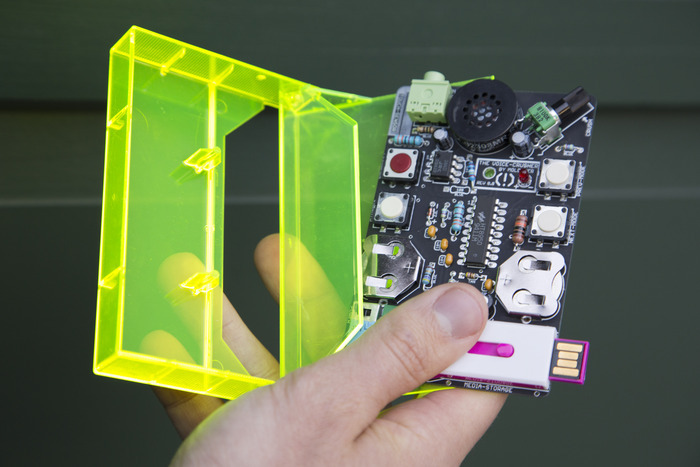 And no, it turns out “controllerism” is not limited to minimal techno and EDM. Ahem. Like, let’s start in Spanish-language Colombian head-banging awesomeness. Okay, or maybe you want to just map to Ableton Live, and make minimal techno dub reggae. Of course, even better is the film about Moldover showing him using the instrument, and talking why music matters. 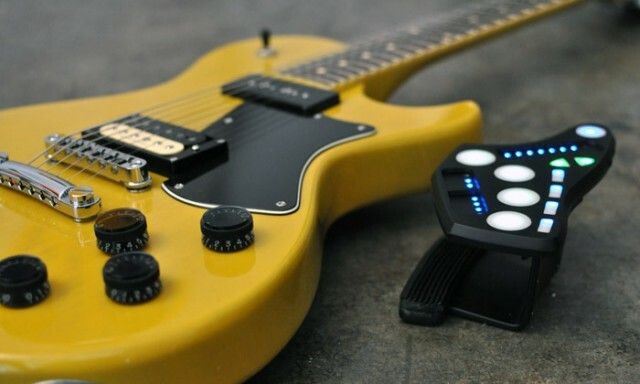 Moldover also provides some insight into the inspiration for the Guitar Wing, his original Robocaster. It looks like what Les Paul would enter into Robot Wars, sending an evil guitar into the arena to destroy all it meets. Fortunately, Livid and Moldover understand you don’t want to give up your current axe, and so we have something really beautifully practical. Can’t wait to see what people will do with it. When those packages get unwrapped after the crowd funding, do drop us a line at CDM HQ in Gotham City and let us know what you’ve done. The post The Augmented Guitar: In Final Hours of Crowd-Funding, Watch What Guitar Wing Can Do appeared first on Create Digital Music. Electronic musicians – controllerists, if you will – may choose to augment themselves with machines. They may build elaborate custom electronics so they can express themselves live more than the default music technology would otherwise allow – acoustic, amplified, or digital. But there has to be a human there first. In a documentary film from November, Moldover talks about what drives him to make music. It’s that emotional place that motivates both his technological expression and songwriting, and that’s something I imagine will be poignant whatever genre you choose as your own. 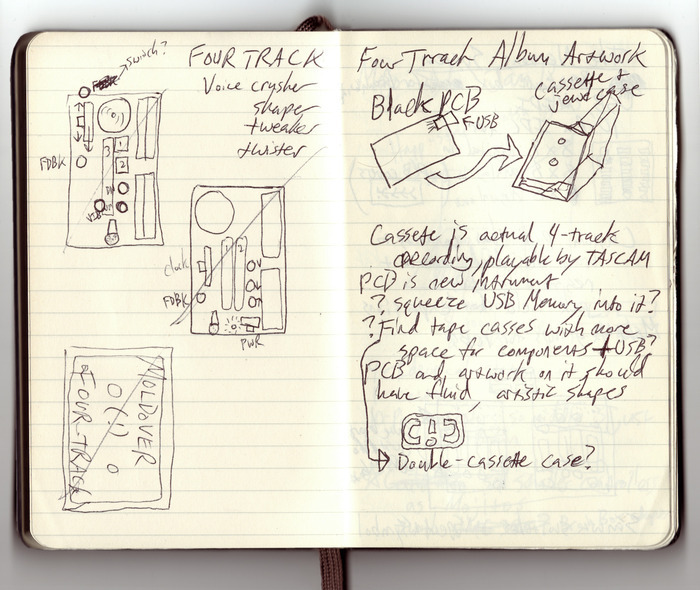 “Four Track,” for its part, was fully crowd-funded (and then some), and will ship in the spring. A collaboration with electronics wizard Mitch Altman, it massively expands what an album is. 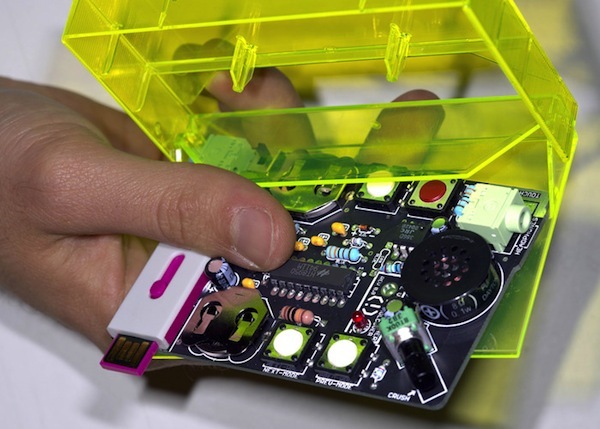 Fit into a compact audio cassette case, it incorporates both the album and a custom all-in-one voice crusher. But now, with Moldover moving into the final hours of his newest invention, Guitar Wing, it’s a perfect time to revisit the reason he works on this stuff. And there, sir, in the way you feel and that music heals, I am certain you’re anything but alone. The post Wiring, Electronic and Emotional: Watch A Moving Short Film about Contollerist Moldover appeared first on Create Digital Music.